We’ve finished our RTW trip. We get a lot of questions about our favorite things on the trip, so we’ve decided to start a new series called “So, What Was Our Favorite…” We visited 29 countries on our RTW: Egypt (just 1 day), South Africa, Botswana, Zimbabwe (just 1 day), Namibia, Germany (just 1 day), Czech Republic, Poland, Slovakia, Hungary, Croatia, Slovenia, Bosnia Herzegovina, Montenegro, Albania, Greece, Turkey, Ireland, USA, Myanmar, Singapore, Indonesia (just Bali), Cambodia, Laos, Thailand, Vietnam, Hong Kong, Macau, and Nepal. This edition will cover our top 10 favorite places we stayed around the world. These are not in order of preference, instead they are in the order in which we visited them. When making this list, we found that how much we enjoyed a place had less to do with the actual accommodations (though certainly it helped when we felt comfortable) and more with the experience or vibe of a place. We loved places that gave us unique insights to the culture of the area, or places where we were able to meet a lot of like minded travelers to create connections. The Amber Tree was a really wonderful place to stay in Cape Town. It had pretty comfortable beds in the dorms with substantial lockers, a full kitchen and an awesome common area. The vibe there was also just perfect for us, laid back, fun, but not a full party. 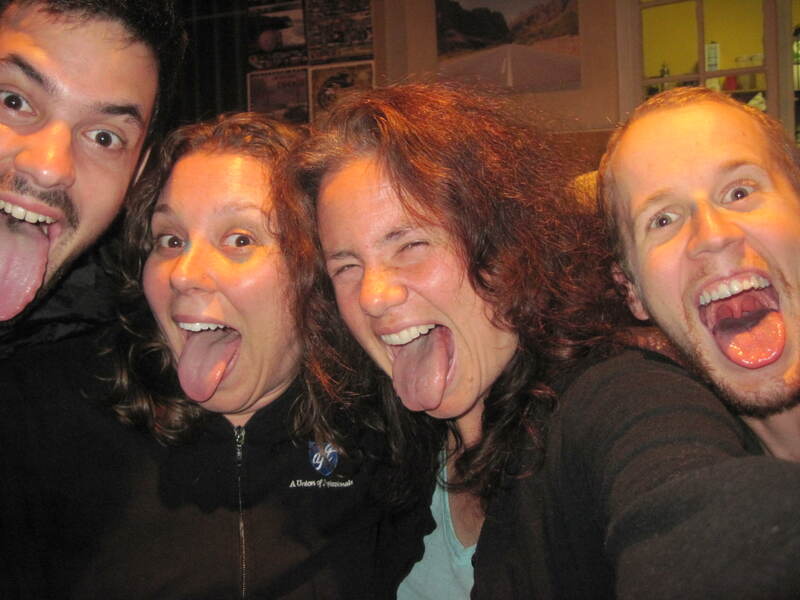 We met a lot of really great people there, and had enjoyable evenings hanging out with travelers from all over the world! In addition, it was in a pretty great location – at the foot of Table Mountain, which made for great views from the balcony. It is also not too far a walk from the famous Long Street in Cape Town. We really enjoyed this pension in the small town of Levoca. We had a very large and comfortable room. We had plenty of space to spread out, a refrigerator and microwave, and our very own bathroom! The woman who owned the pension was kind and offered us homebaked goodies. She also told us to grab some of her many tomatos growing in her garden. It was quite a nice location too, located midway between the main bus station and old town. This pension was extremely pleasant. 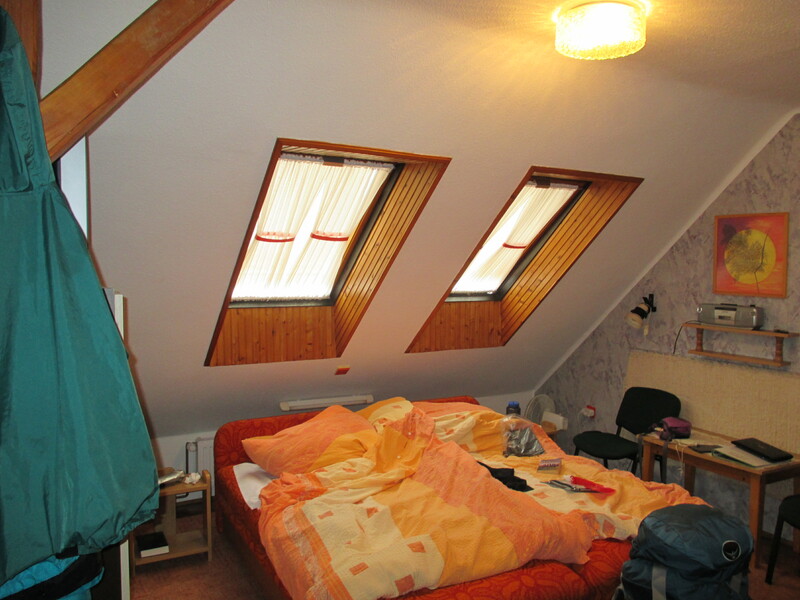 We had a pretty sizable room with a private bathroom, and some skylights above our bed. There was a shared kitchen and meal area that was quite pleasant. We were only a few minutes walk from Old Town and the town Minaret was practically right outside our door! In addition, the lady owner was so kind and really interested in making sure that we felt at home. We felt as if she wanted to take us under her wing as a mother figure! 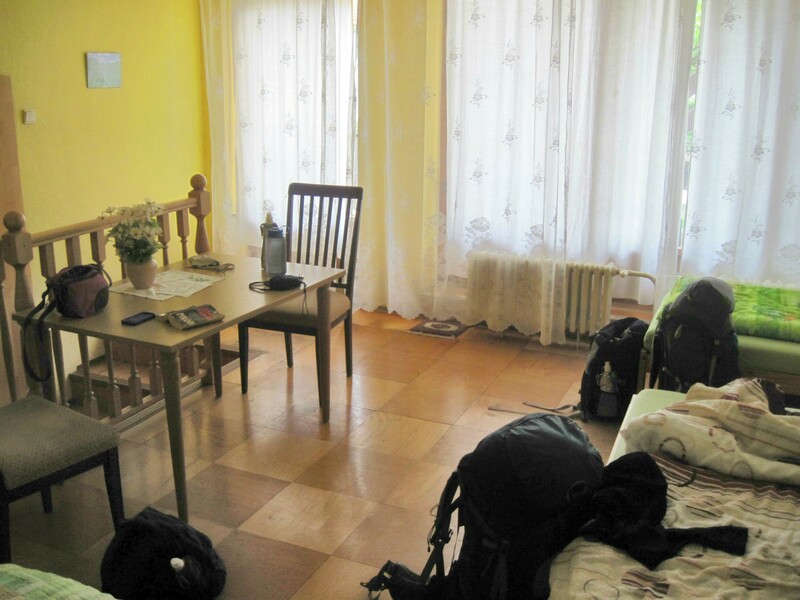 When we arrived at the Apartments Samardzic, we almost immediately decided we wanted to extend our stay. That certainly bodes well for an accommodation! We had a nice queen-sized bed, a good bathroom, a kitchenette, a big living room, and our favorite feature: a view over the bay. We spent most of our afternoons just relaxing the in the living room, looking out over the bay and catching up on things. The kitchen was convenient and the bathroom was comfortable. The hosts live right next door, and were always very kind whenever we had a question. Our own comfortable living room! We were thrilled with our time at Ana’s in Berat. The guesthouse was quite new and comfortable. The bed was large and lovely. There was a small common area which we frequented and met several other interesting tourists. In addition, there was a lovely patio with a stunning view of Berat which we enjoyed on more than one occasion. We also lucked out with the new worker there. He was a native of Berat and was starting a burgeoning tour business. He was around all the time and we really enjoyed a lot of discussions with him from everything from books to American politics to Albanian history. After a lively and informative day with our guide, and several evening/breakfast conversations, he found out that Della was a teacher and he expressed his deep interest in teaching as well. He also was adamant that Della have a chance to see Albanian schools in action. Not knowing what to expect, we said that might be cool. He called a friend, a Peace Corps volunteer from Maryland, who worked in an alternative high school in Berat. This opened the door for us to spend the morning with the Peach Corps volunteer discussing his job and then an hour in his classroom where he works with a partner Albanian teacher to teach English to the students, the equivalent of seniors in the US. 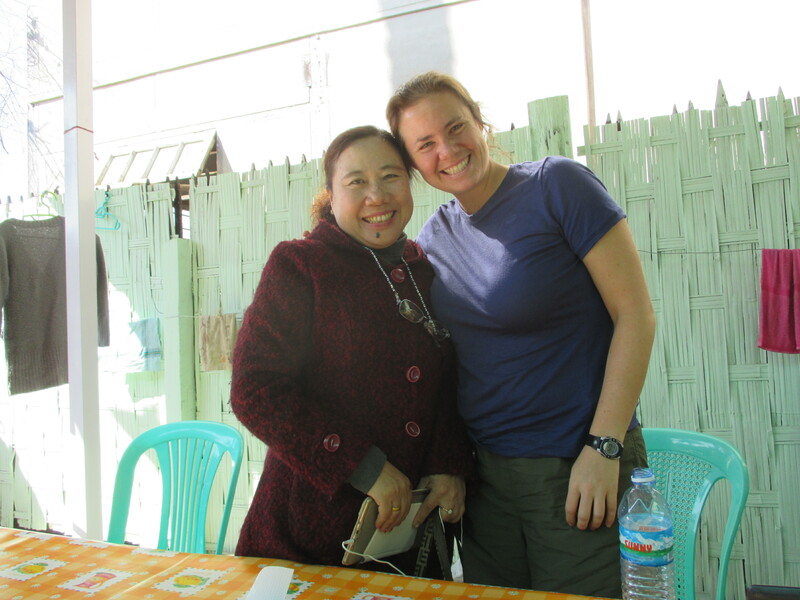 We really enjoyed and benefited from our stay at Ana’s! We were the only guests at this hotel as it was down season in Turkey. But, to be honest, that was part of the charm. We had a comfortable, pretty large room. The hotel provided breakfast every morning as part of the price. They also cooked dinner to order. 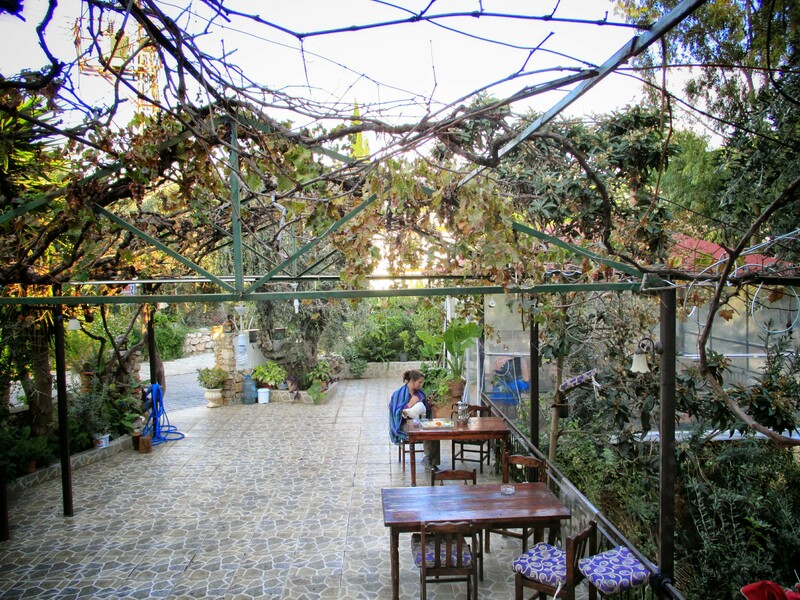 All meals were served on a lovely outdoor patio which beautiful and comfortable Turkish style. The couple that ran the hotel was very kind and we did get a chance to chat with them a few times when they served us our meals. The owner also drove us to and from the bus stop at no extra charge which was a welcome and necessary service in the down season. We also made good friends with the cat at the hostel. We think they called her “Kedi,” which means kitten in Turkish. She would always join us for meals and follow us back to our room when we headed up. We can’t rave enough about this place! If you are going to Mandalay, you should stay there, no question. The level of service is amazing: everything is done with a smile, the provided breakfast is large and you have to fight to keep from getting extras and the facilities are nice, clean and commodious. The owner, who everyone calls “Mama,” is amazingly kind and generous, and will go out of her way to make you feel at home. She is so sweet, and wants to make everyone her children. On our last day there, she took us down the street to a restaurant, stuck around to make sure that we got excellent service, and then absolutely insisted on paying for our meal. She wouldn’t take no for an answer! We were overwhelmed by her generosity. Also, this place seems to attract a nice crowd of like-minded travelers, and we made a lot of fun connections just hanging out in the common area each night. We actually didn’t find this place, our friend Phill (who is currently on his own RTW – check his blog here!) did when we joined him for our holiday in Bali! We are so glad that he did! The homestay’s owner is the amazingly gracious Ketut. It is slightly outside the town of Ubud and is within the complex of Ketut and his family’s home. Ketut makes sure that you are comfortable and well cared for! He also is an excellent tour guide for sights surrounding Ubud. Make sure to ask for his special pancakes for breakfast! In addition, he is heavily involved in his local temple and made sure to get us involved too. We were so lucky to experience a “birthday celebration” for that temple which meant several evenings of activities. Ketut and his family made sure that we had the correct clothing so we could attend and experience everything. We were so grateful for the opportunity! There are three locations for the Golden Time throughout Hanoi. We loved Hostel 2, though it was really more like a hotel. The best part about the Golden Time was the friendly staff that work at the front desk. 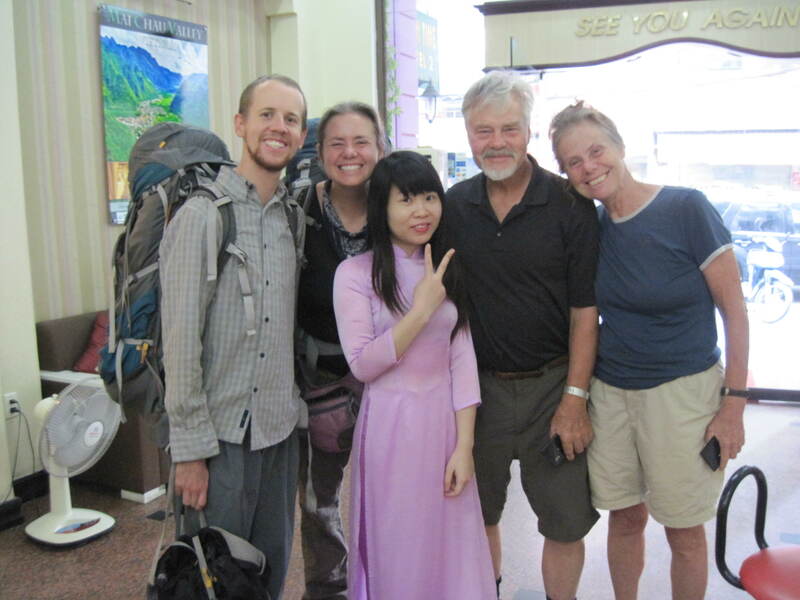 Tony and Ahn, a married couple, always greeted us by name and with a smile. There was always coffee, tea and bananas set out as well, which was refreshing after a long day of sightseeing. The included breakfast also had a good selection. The rooms were nice and spacious, so we slept well. The location was close to the main tourist attractions but not right in the center of the hubbub. Hotel Bright Star is unique on this list, as we believe we were some of the last people to stay there. It was severely damaged in the earthquake on April 25. We will always remember the kindness and generosity that the owner of this hotel showed us both before and after the earthquake. 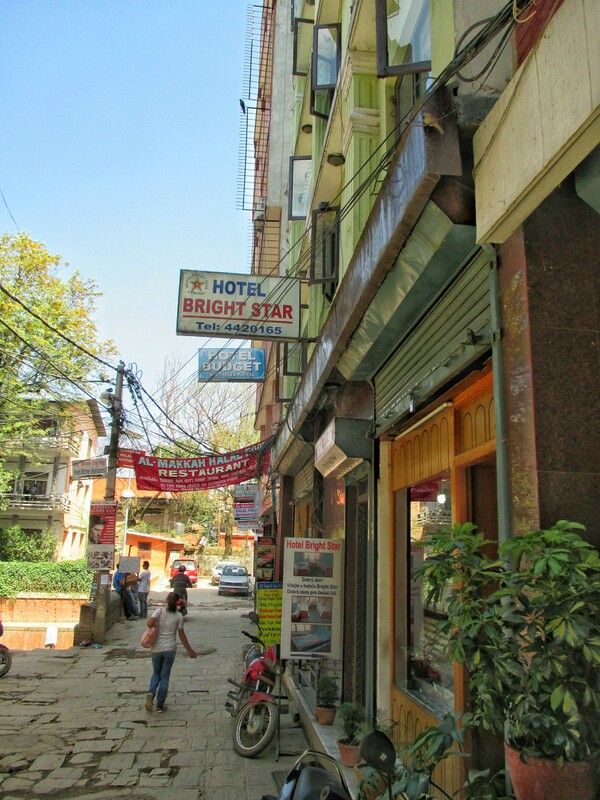 This is a passage about the hotel from our blog Kathmandu: Before the Quake. We didn’t get in until almost midnight, but the owner of our hotel, the Hotel Bright Star, had stayed up to check us in. We had a small room on the top floor – the stairs were a nice preview of what we expected to be a lot of uphill hiking on our trek. 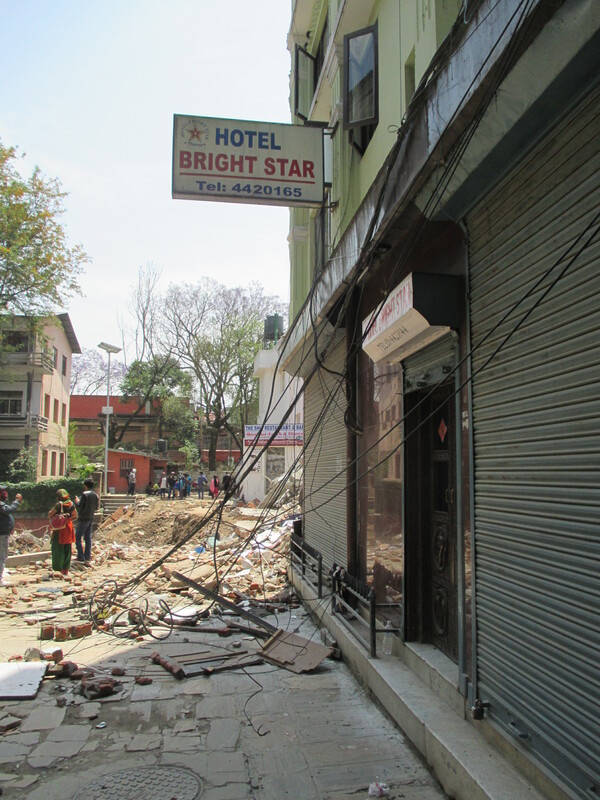 If you would like to read more about our experience during the Nepal Earthquake, click here. We stayed at plenty other really good and interesting places around the world as well, so it was really hard to get this list down to 10! Still, it seems like this cream of the crop from all around the world is a good representation of the places we would like to stay on future travels as well.